Born: 1862, Groningen, The Netherlands. Eduard Johan Pieter Jorissen (jnr) was the eldest son of Dr Eduard Johan Pieter Jorissen, attorney-general and judge of the South African Republic (Transvaal) and his wife, Anna Catharina Elisabeth, born van Eyk. He came to South Africa with his parents in 1876, but went to Paris, France, for further studies and obtained the equivalent of a Bachelor of Science degree. In 1886 he married Jacoba van Wisselingh, with whom he had one son. Jorissen served for some time as acting clerk to the surveyor-general of the South African Republic (Transvaal), resigning in October 1882. He applied for admission as a surveyor in the Republic in March 1884 and was found proficient in this profession by a commission in April. From that time to the outbreak of the Anglo-Boer War in 1899 he practised as a land surveyor in Pretoria, where Jorissen Street was named after him. He did survey work in Pretoria for the government during 1886, requesting six plots as payment for the work. He also surveyed 233 business and residential stands at Kaapsehoop, some 24 km south-west of Nelspruit, in July 1887 following the discovery of alluvial gold there. During 1898 he worked in Zwaziland, residing in Bremersdorp (now Manzini). After the Anglo-Boer War (1899-1902) he was admitted as a land surveyor in the Transvaal Colony in October 1903 and by 1905 had joined the Transvaal Institute of Land Surveyors. 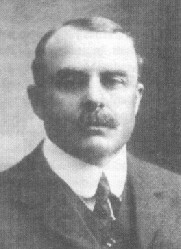 Jorissen became a member of the Geological Society of South Africa in 1903 and served on its council from 1904 to 1916. In 1906 he was honorary secretary of the society as well as honorary editor of its Transactions, and in 1907 served as its president. Around this time he was elected a Fellow of the Geological Society of London. He read several papers before the Geological Society of South Africa, which were published in its Transactions and dealt mainly with stratigraphy. "On the occurrence of the Dolomite and Chert Series in the north-eastern part of the Rustenburg district" (1904, Vol. 7, pp. 30-38) reported, among others, his discovery of an unconformity between the Waterberg sandstone and the rocks of the Pretoria Group - observed earlier near Pretoria by E.T. Mellor*, but not yet published by him. In "Notes on some intrusive granites in the Transvaal, the Orange River Colony and in Swaziland" (1904, Vol. 7, pp. 151-160) he described, among others, the banded ironstones and cherty rocks, with intrusive granites, of what came to be known as the Kraaipan Group, on the farms Abelskop and Goudplaats, near Schweizer Reneke, and correctly considered them to be Archaean in age. Other papers dealt with "Structural and stratigraphical notes on the Klerksdorp district..." (1906, Vol. 9, p. 40); and as co-author with G.S. Corstorphine*, "The stratigraphy of Zwartkop No. 82" (1908, Vol. 11, pp. 55-68). In 1908 he and the consulting engineer J.I. Hoffmann issued a Report on the tin deposits of the farm Zwartkloof, no. 2126, situated in the district of Waterberg, Transvaal.... By 1908 he was consulting geologist to Farrar Brothers, Johannesburg (see Sidney H. Farrar*). Two years later he had moved to present Harare, Zimbabwe, but in 1914 he resided in Omaruru, Namibia. Jorissen became a member of the South African Philosophical Society in 1906 and remained a member when it became the Royal Society of South Africa in 1908. By 1910 he was a member also of the South African Association for the Advancement of Science. Later he went to South West Africa (now Namibia) as a surveyor. Anhaeusser, C.R. (ed.) A century of geological endeavour in southern Africa (pp. 15, 20, 116-117). Johannesburg: Geological Society of South Africa, 1997. Geological Society of South Africa. Proceedings, 1915, Vol. 18, p. xiii-xix: Past presidents, Past secretaries, and Lists of members; Transactions, 1906, Vol. 10, list of members. National Automated Archival Information Retrieval System (NAAIRS). http://www.national.archives.gov.za/naairs.htm Documents relating to Jorisson, E.J.P. (jnr). South African Committee for Stratigraphy (SACS). Stratigraphy of South Africa, Part 1. Lithostratigrahy... (pp. 63-65). Pretoria: Geological Survey of South Africa, Handbook 8, 1980. Young, R.B. The Geological Society of South Africa. Transactions of the Geological Society of South Africa, 1945, Vol. 48, pp. v-vi.